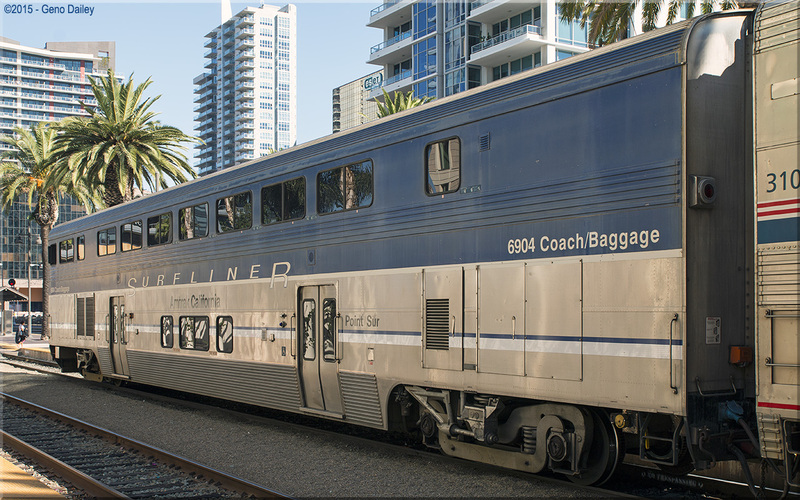 Built in October 2000 as a cab/coach/baggage car operating on Pacific Surfliner trains between Los Angeles & San Diego along with Surfliner trains operating from Los Angeles north to as far as San Luis Obispo. These cars when first built didn't have names but would begin to have names starting in 2008 as they were cycled through Beech Grove for maintenance with this car later being named "Point Sur". Historical information about this car provided by www.amtrakbythenumbers.com.